Blois is a city & the capital of Loir-et-Cher department in central France, situated on the banks of the lower river Loire between Orleans and Tours. Though of ancient origin, Blois is first distinctly mentioned by Gregory of Tours in the 6th century, and the city gained some notability in the 9th century, when it became the seat of a powerful countship with «Blesum castrum» («Le chateau de Blois»). In 1171, Blois was the site of a blood libel against its Jewish community that led to 31 Jews (by some accounts 40) being burned to death. Their martyrdom also contributed to a prominent and durable school of poetry inspired by Christian persecution. In 1196, Count Louis granted privileges to the townsmen; a commune, which survived throughout the Middle Ages, probably dated from this time. The counts of the Chatillon line resided at Blois more often than their predecessors, and the oldest parts of the chateau (from the thirteenth century) were built by them. In 1429, Joan of Arc made Blois her base of operations for the relief of Orleans. Joan of Arc rode the thirty-five miles on Wednesday 29 April to Blois to relieve Orleans. After his captivity in England, Charles of Orleans in 1440 took up his residence in the chateau, where in 1462 his son, afterwards Louis XII, was born. In the 16th century Blois was often the resort of the French court. The Treaty of Blois, which temporarily halted the Italian Wars, was signed there in 1504–1505. The citys inhabitants included many Calvinists, and in 1562 and 1567 it was the scene of struggles between them and the supporters of the Catholic Church. In 1576 and 1588 Henri III, king of France, chose Blois as the meeting-place of the States-General, and in 1588 he brought about the murders of Henry, duke of Guise, and his brother, Louis, archbishop of Reims and cardinal, in the Chateau, where their deaths were shortly followed by that of the queen-mother, Catherine de Medici. From 1617 to 1619 Marie de Medici, wife of King Henri IV, exiled from the court, lived at the chateau, which was soon afterwards given by King Louis XIII to his brother Gaston, Duke of Orleans, who lived there till his death in 1660. The Chateau de Blois, a Renaissance chateau once occupied by King Louis XII, is located in the centre of the city, and an 18th-century stone bridge spans the Loire. As Blois is built on a pair of steep hills, winding and steep pathways run through the city, culminating in long staircases at various points. To the south of the city, the Foret de Russy is a reminder of the thick woods that once covered the area. La Maison de la Magie Robert-Houdin (The House of Magician Robert-Houdin) is a museum fronting on the Chateau. 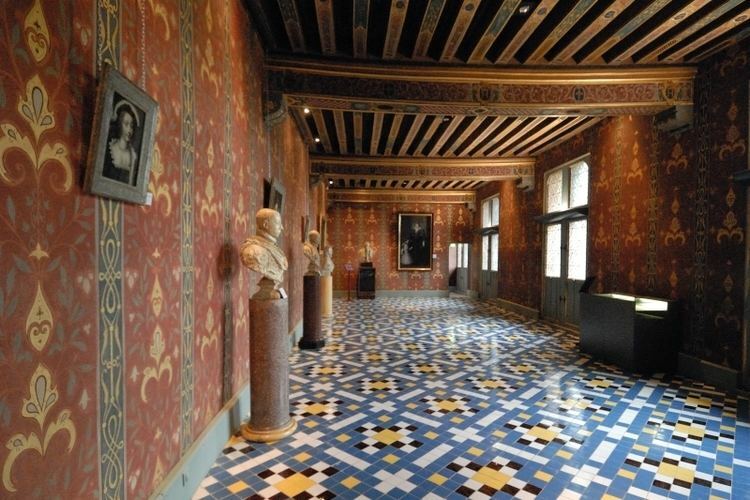 As a museum of France, it is the only public museum in Europe which incorporates in one place collections of magic and a site for permanent performing arts, and is directly linked to the personality of Jean-Eugene Robert-Houdin.